Established in 2016, Queensland Poetry Festival’s Oodgeroo Noonuccal Indigenous Poetry Prize is Australia’s first open-age Indigenous poetry prize, awarded to an unpublished poem. Named in honour of Oodgeroo Noonuccal, the first Indigenous Australian to publish a book of verse (named with permission from Oodgeroo Noonuccal’s family and in close consultation with Quandamooka Festival). 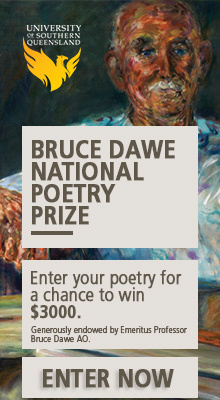 The prize is for an unpublished poem and is open to Indigenous poets, emerging and established, throughout Australia. The prize for a single poem (or suite of poems) of 80 lines or under is $2,000, plus a series of mentoring sessions with an established Indigenous poet. The highest-placed Quandamooka entry receives $500 plus a membership to Queensland Writers Centre. QPF would like to thank Copyright Agency for funding this prize, as well as the support of Queensland Writers Centre, Overland and Quandamooka Festival. QPF also thanks the Walker family for their support in the naming this prize. 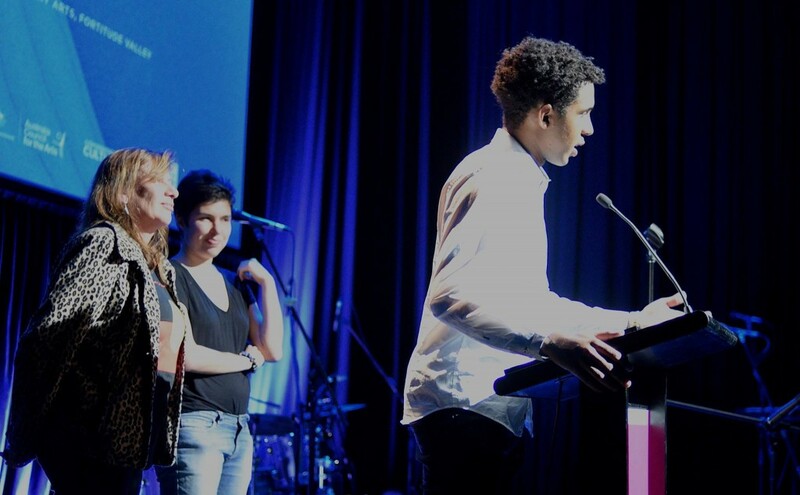 Sachem Parkin-Owens, this year’s co-winner and Highest Placed Quandamooka Entry, with the 2017 judges, Ali Cobby Eckermann and Ellen van Neerven.